Exalt is an Australian based resource and energy exploration company, building a portfolio of Australian and in particular Indonesian coal assets, which are located close to potential transportation routes and existing or planned infrastructure. eBrands’ wealth of experience in the mining and resources sector was the catalyst for Exalt to seek our help in creating a robust, powerful new identity. 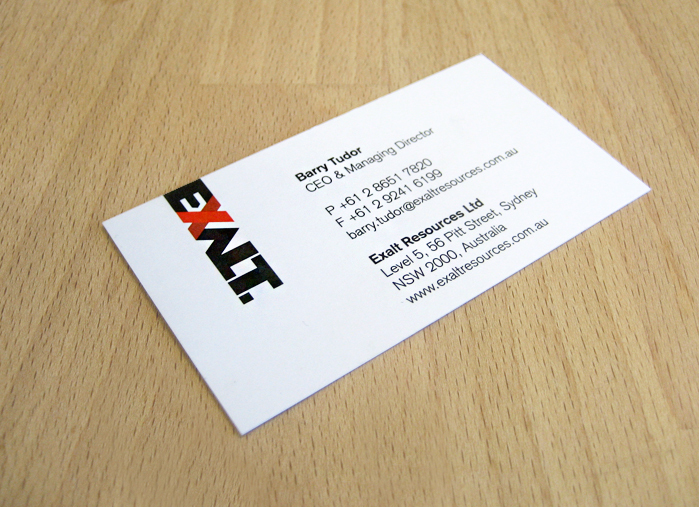 Exalt suited a strong, simple effective brand that reflected the standing of the business’s experienced management team. We put the visual focus on a strong piece of typography as the word mark. Using white space astutely combined with bold typography, the word mark draws a strong parallel to the extraction of resources from the earth. We then designed and built a website that further exemplifies a smooth integration of a brand while the business goes through an explorative phase. eBrands created a design platform, which enables the visual expression to work across all future brand assets coherently, simply and effectively. In particular the use of neat and tidy collapsible content helps the visitor navigate through important information that would otherwise remain hidden unless you scrolled downwards. Neat design ideas and how to present them are just some of the special talents the eBrands design team use to help site visitors obtain information easily.